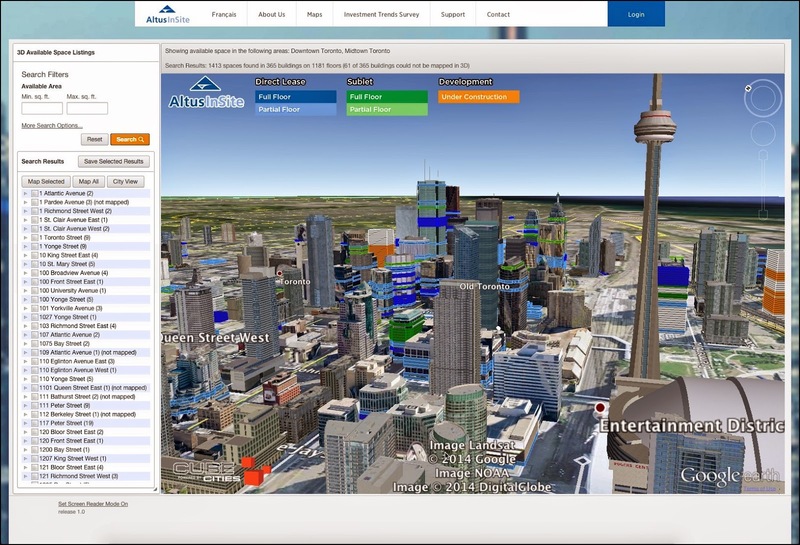 Altus InSite, Canada's largest commercial real estate information provider has relaunched it's website featuring 3D search capabilities from Cube Cities. 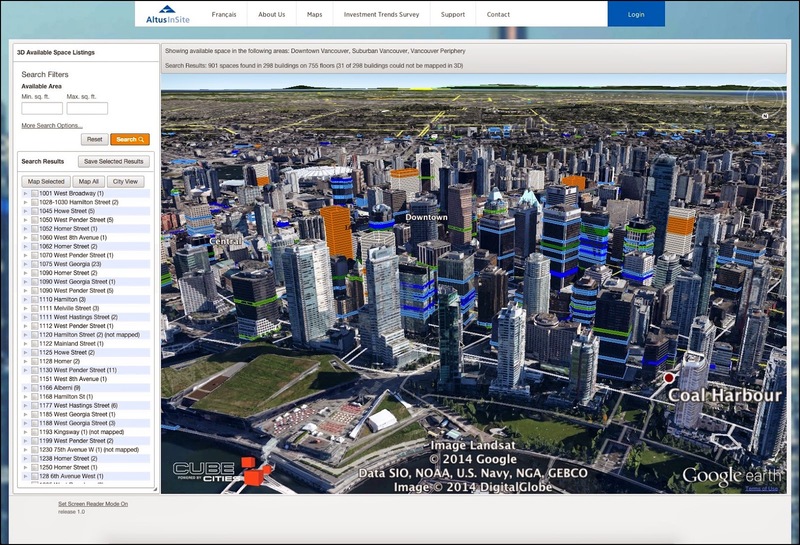 Users can now see the Vancouver, Calgary, Toronto and Montreal office markets with new 3D floor-level visualizations from Cube Cities. 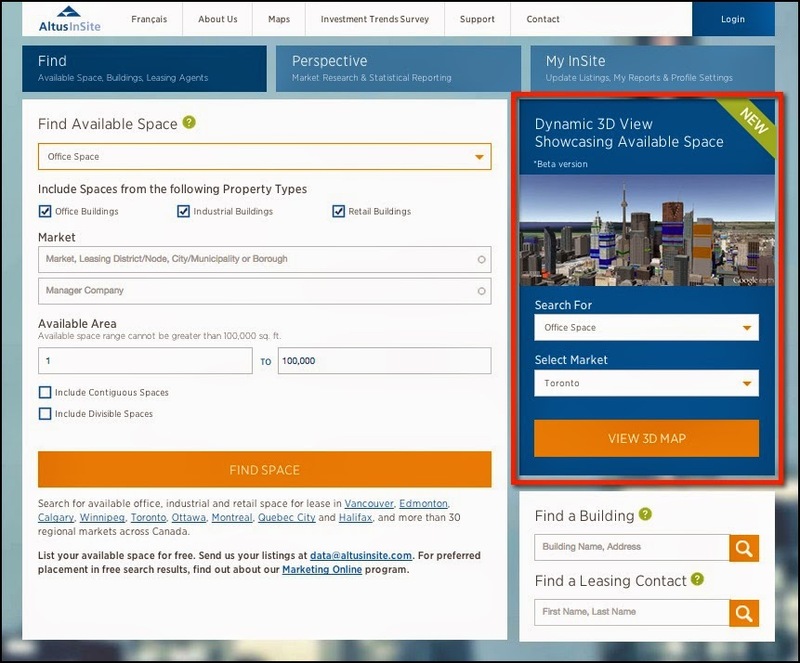 The new Cube Cities search functionality allows users to save 3D search results as well as refine markets by district and filter by Building Class and Direct or Sublet lease types. 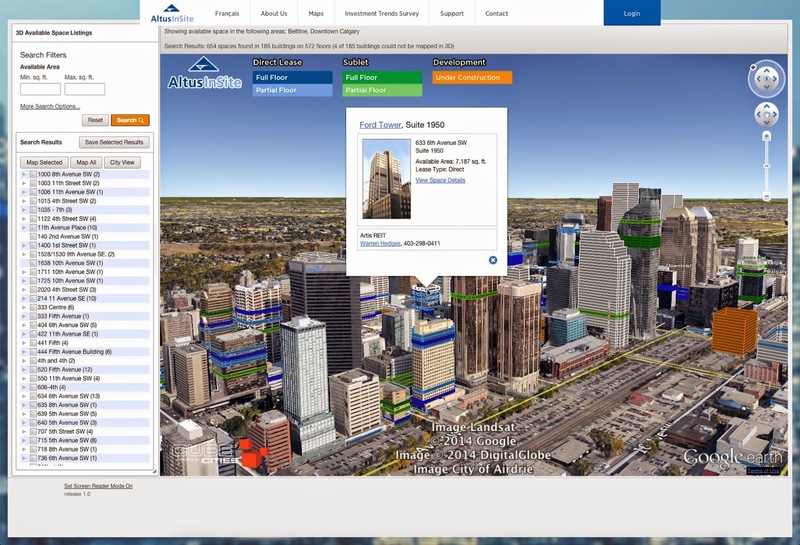 The new AltusInSite Homepage, Cube Cities search panel highlighted in red. Thanks for sharing it. The 3D of the commercial properties are really appreciable.